The second release of the Small Batch Collaborations, the Teeling Galway Bay Barley Wine Cask! 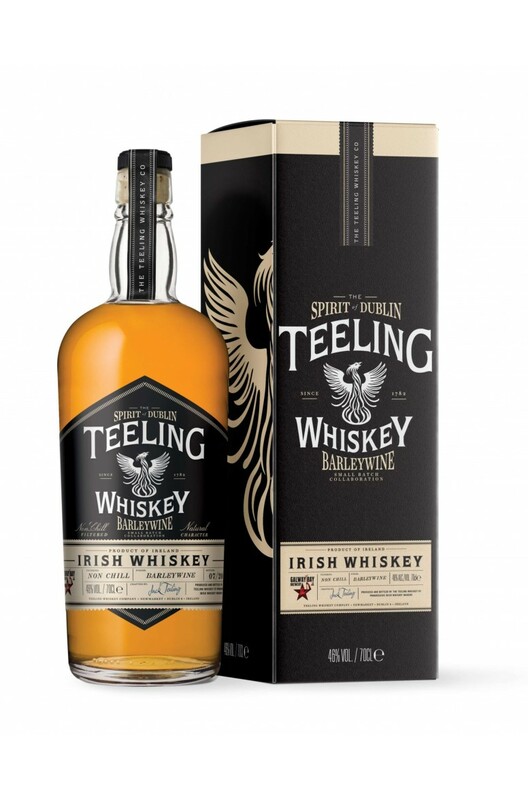 Teeling initially gave Galway Bay their ex-rum casks so that they could create a Teeling Whiskey Aged Barley Wine. On their return, Teeling refilled these casks with Teeling Small Batch and thus, the Teeling Galway Bay Barley Wine Cask was created. Think notes of rum & raisin, cherry & sweet malt! Limited to 12,000 bottles! Aromas (without water) Cereal notes intermingle with creamed barley, honey and ripe fruit. Palate (without water) A hint of hops, with a viscous, syrupy mouthfeel, reminiscent of manuka honey.